A tragedy is a disaster that brings death, injury and hardship. A tragedy is also a literary work that has a somber tone and deals with suffering and/or destruction. 2013 - An avalanche in Loveland Pass Colorado killed five snowboarders. 2013 - In Sioux Falls, South Dakota, a teenage girl jumped into a river to try and save her brother from drowning. Her brother was saved but she died. 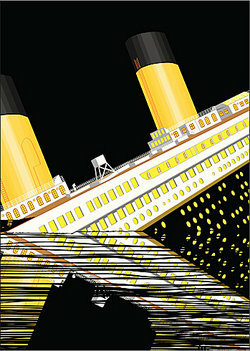 Now you have seen many different examples of fictional tragedies and real tragedies. "Examples of Tragedy." YourDictionary, n.d. Web. 23 April 2019. <https://examples.yourdictionary.com/examples-of-tragedy.html>.